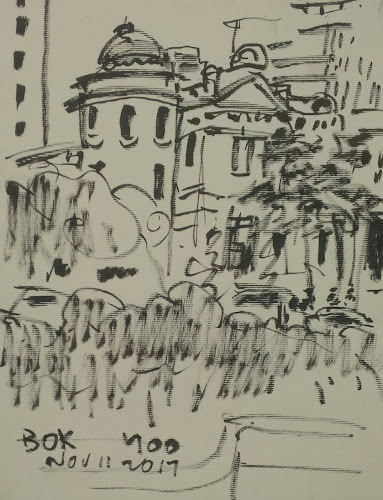 I started sketching at small space(traffic island) in front of big department, Sinsegye and the Bank of Korea. 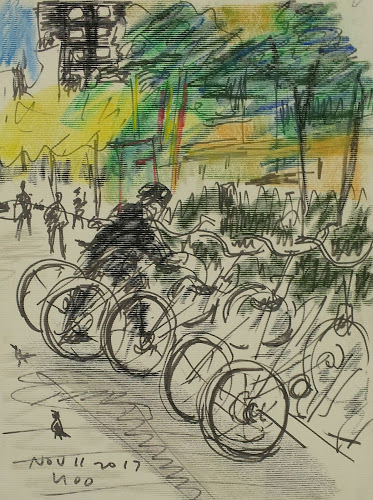 There were bicycles for citizens for free. Peoople could use any time. I saw people came to use it and bring back after use. 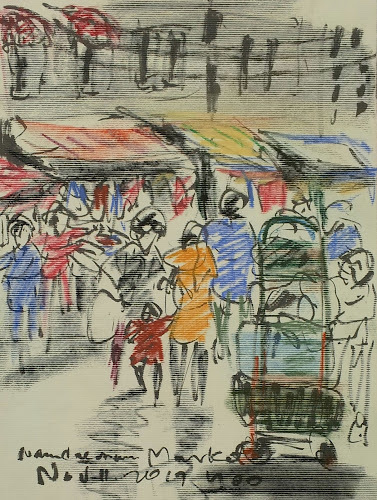 Namdaemun Market began to be busy though it was before noon. 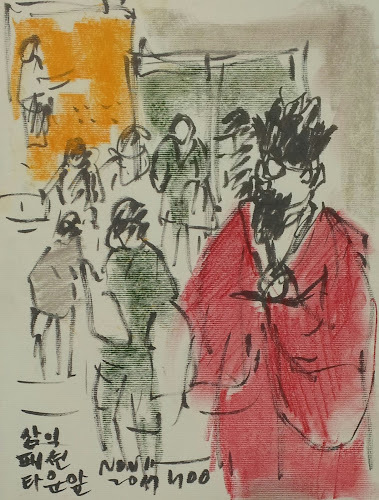 In front of Samick Fashion Town an advertising guy who was wearing Korean traditional clothing for catching eye of customers kept shouting "Visit the shoe shops in this building!" It was fresh to see resting stools for tired shoppers at Young Plaza, Myeong-dong. 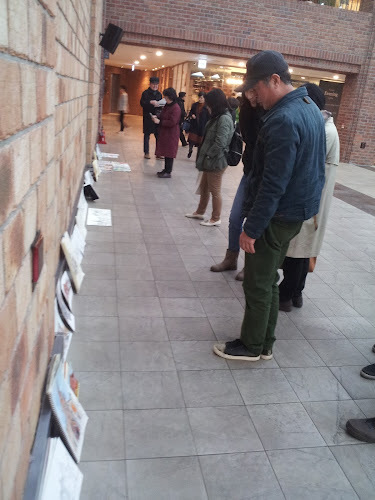 We displayed our works at the '1898 Myeongdong Cathedral'. Myeong-dong may be the commercial center of Seoul. It's crowded with visitors. 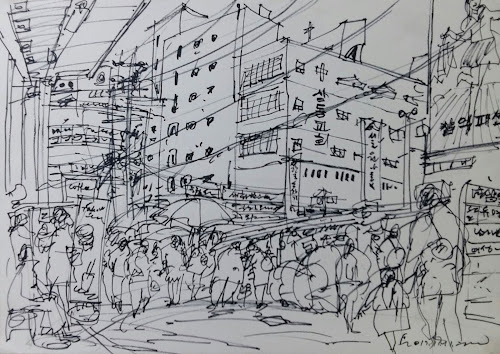 It's always crowded with people. 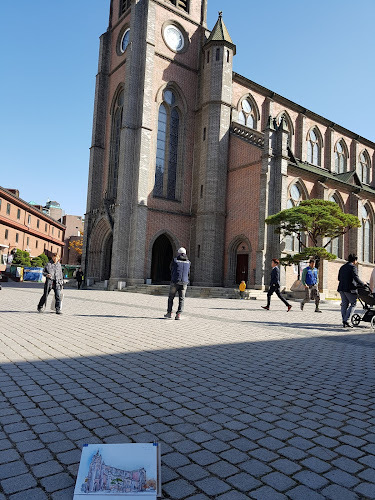 You can guess by the location of big departments such as Lotte, Sinsegae and Namdaemun market, the Bank of Korea, Korean Air Lines, cathedral church and so on. 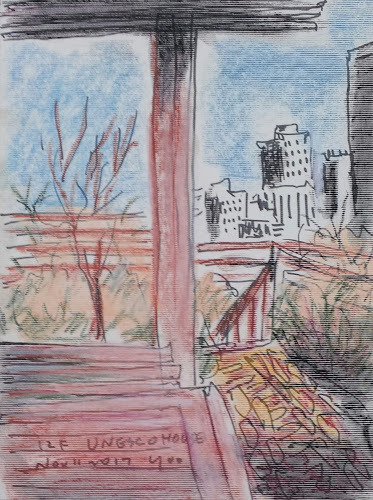 We sketches this area several times. But there are lots of subjects untouched still. 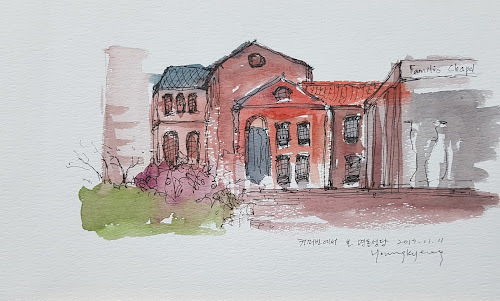 Buildings keep remodeling. We will love to go there any time for capturing new hot features. 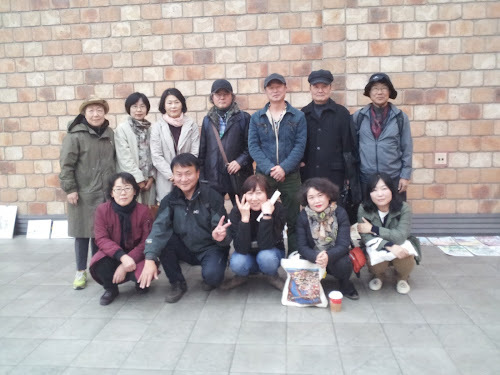 Thank you all the participants in spite of cold weather! 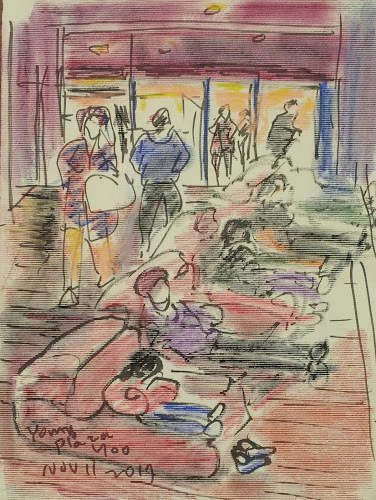 Hi sketchers, that's a huge good job ! Hi BH & Friends in Seoul! Sorry we are a little late. 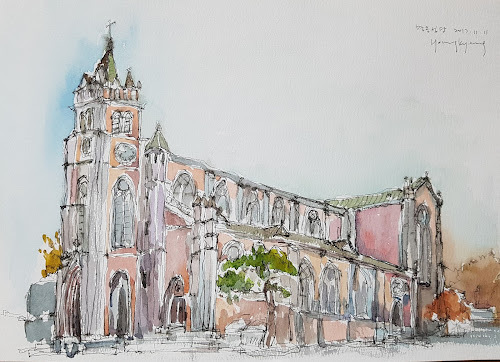 Last Saturday, the 57th World Wide SketchCrawl clashed with USK Global 24hr Sketchwalk, celebrating 10 years of Urban SKetchers. 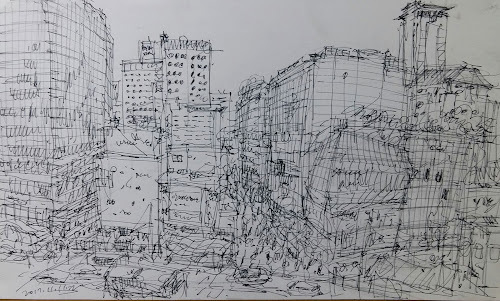 The weather was fine to sketch the hustle and bustle of Seoul. 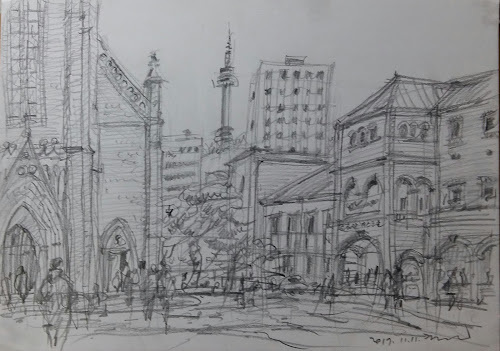 We urban sketchers promised to have free sketch time for themselves around Myeong-dong and the surroundings. 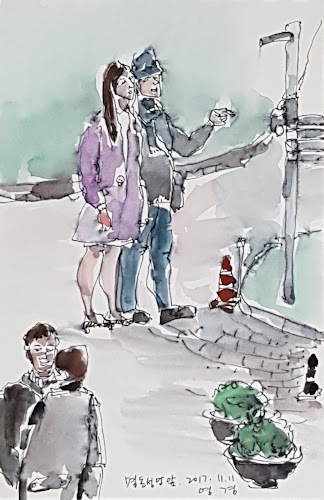 All the sketchers dispersed and drew here and there from morning to the afternoon. 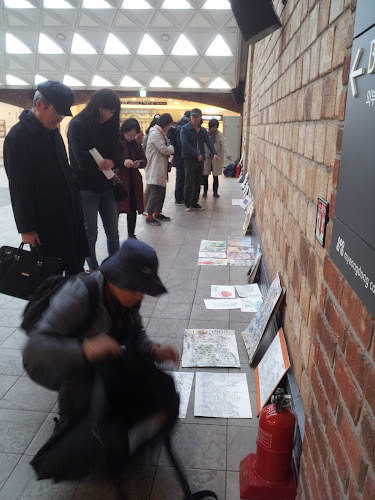 Then we met at 4:30 pm at the main hall on the 1st basement floor of Myeong-dong Cathedral, and appreciated many of our works, sharing pleasure with one another. 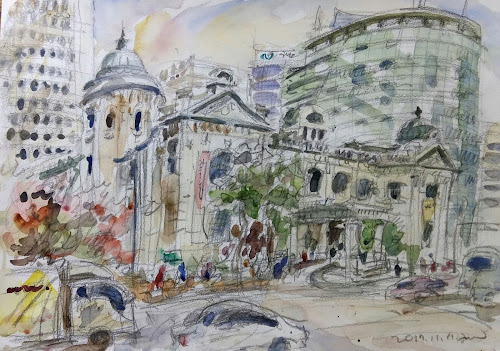 I've sketched a lot of the scenes around Myeong-dong and the surroundings long before, so I could easily sketch the scenes of the famous places which are familiar to me. 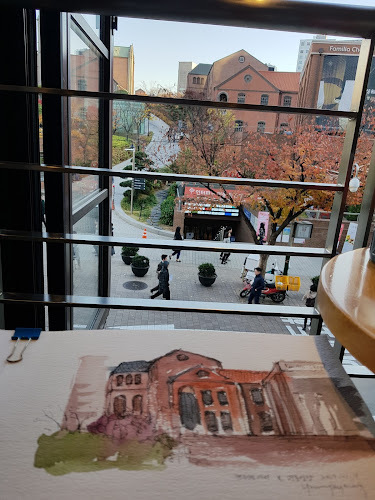 I started sketching the Bank of Korea Money Museum, Namdaemun Market and Myeong-dong street, looking down from the 7th floor of Lotte Young Plaza department. 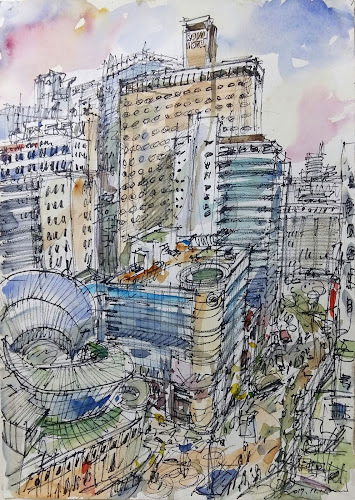 After lunch, I sketched the colorful buildings in the heart of Myeong-dong street viewed from the Baerongnamu Cafe on the 12th floor rooftop garden of UNESCO House building. 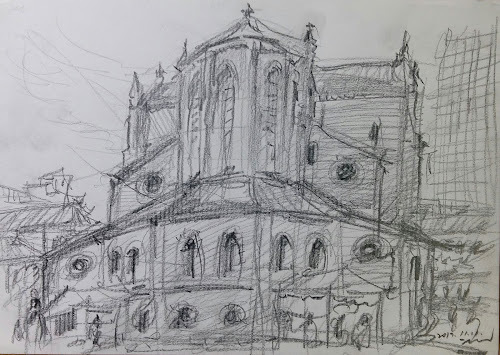 Then I moved to Myeong-dong Cathedral and sketched evening scenes of the cathedral building. 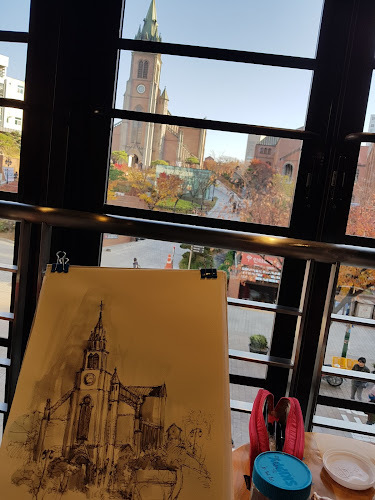 We had a good sketching celebrations at Myeong-dong Cathedral! 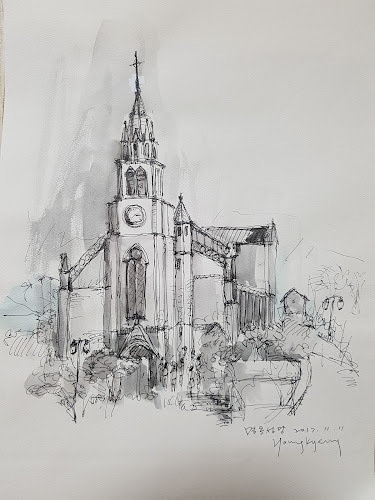 I felt like I had a lot of feelings about the history of Korea,but now the wedding ceremony and the noise of the tourists are filling up the church. 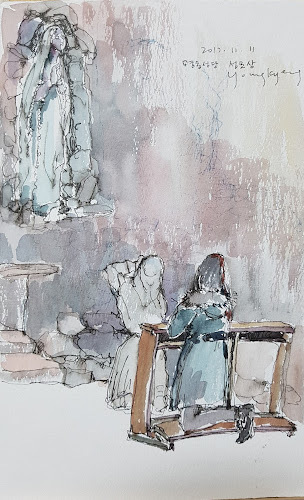 I wanted to sketch the inside of the church again on a busy weekday. 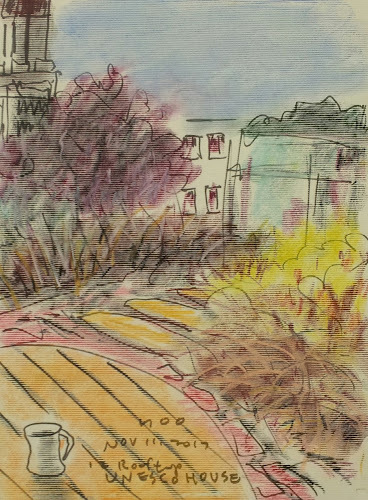 Suddenly it seems cold to be long and memorable. Hi BH! 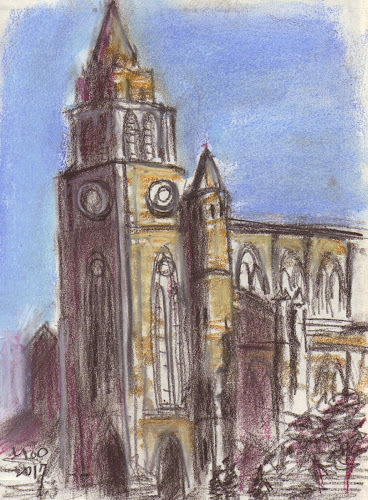 The sense of light in your Cathedral sketch is wonderful!